If you are a parent and not worried about screen time then I should learn from you. Many parents-including me-still struggles with finding the right balance. 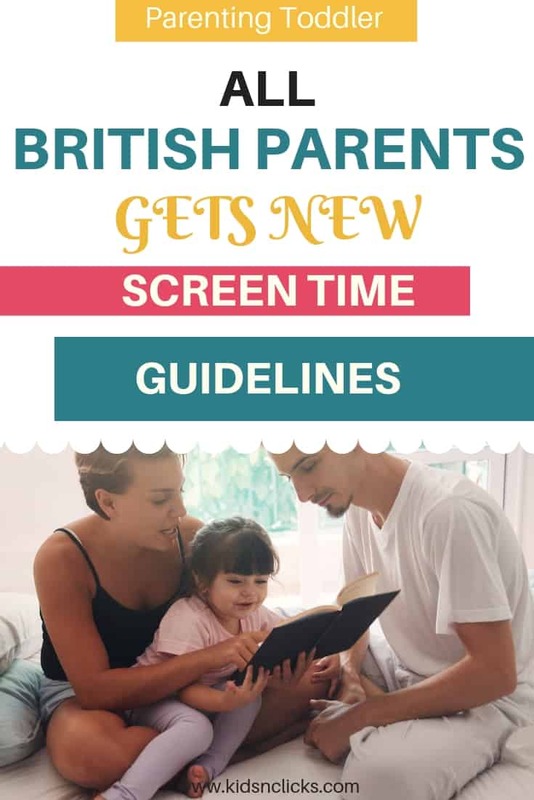 The UK’s Royal College of Paediatrics and Child Health (RCPCH for short) has published some new screen time guidelines for parents. 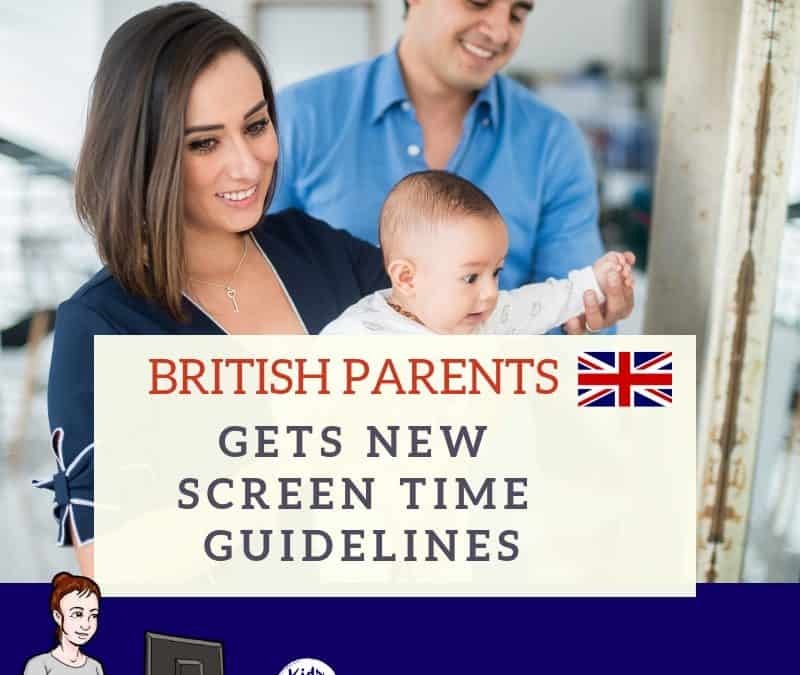 The screen time study they are referring to is largely television time. There isn’t a direct answer provided- for instance, it does not specify daily time limit- that parents are looking for. The study also concludes that “the contribution of screen-time to wellbeing is small when considered together with the contribution of sleep, physical activity, eating, and bullying as well as poverty”. While this is great advice, it is not easy to implement especially when you have more than one child with different needs. That is something many families are still struggling with. Can you control screen time in your home? Does it interfere with what your family wants to do? Does screen interfere with sleep? Can you control binge eating or snacking during screen time? The report suggests that parents should consider they own device use and not just of their children’s. Reflect on how you are using your phone. And try to pause your own screen time when your children are around. RCPCH reminds parents to keep all devices away one hour before bedtime. They encourage parents to protect the sleep of their children. Also, parents should focus on children’s social interaction through face-to-face communication. This is particularly important for younger children that need regular play with other people. The American Academy of Pediatrics suggests that children below the age of two years old should not get any screen time, unless its face time. 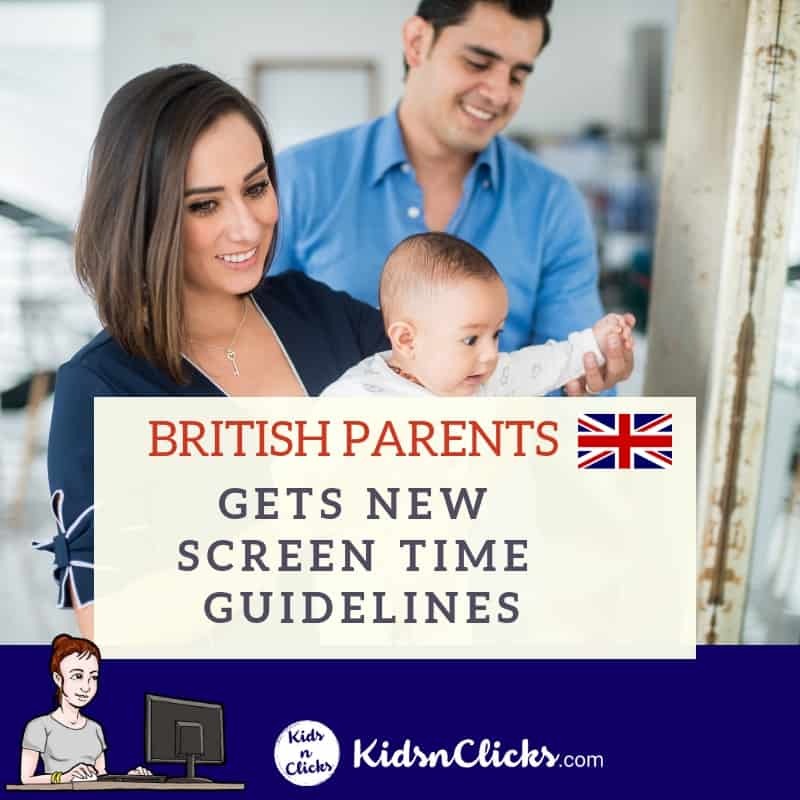 It has some practical advice and does not scare parents about screen time. I really think it is worth reading this. It is only 9 pages long. There is the fact sheet you can print to keep you reminded on healthy screen habits. However, keep in mind that it is not so much about screen time rather what content kids are exposed to online. The research is looking more into TV as screen time where kids are passive consumers. If your kids are actively producing content and engaging with it then screen time can be a positive experience. Know what your kids are doing online so you can be LESS worried about screen time. Have parental control in place to keep them safe from negative materials and influencers. 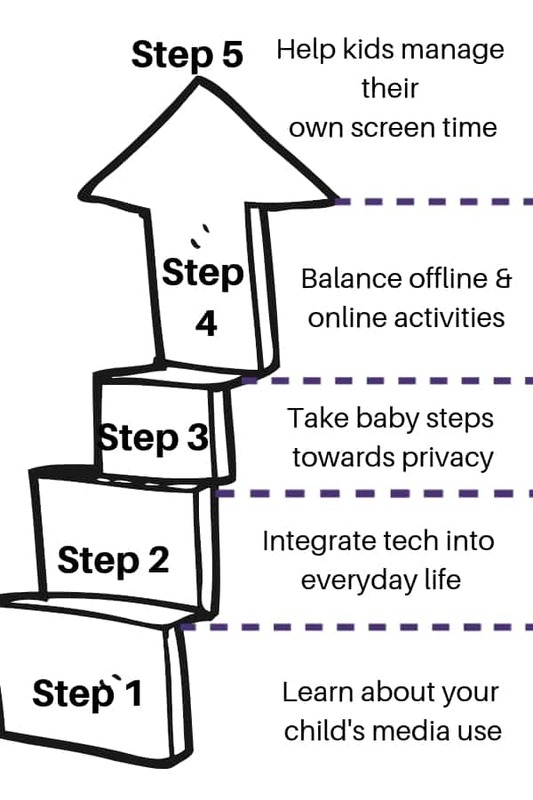 Focus on offline activities to help them have a balanced life. Help your child have a positive relationship with devices. And we will discuss that below. Step 1 : Be curious about your child’s media use.